The developments in Steer-by-Wire Systems allow for the re-thinking of the commonly known steering system meaning both the development of new controls replacing the steering wheel as well as the design of the feedback corresponding to inform the human driver about the vehicle state. 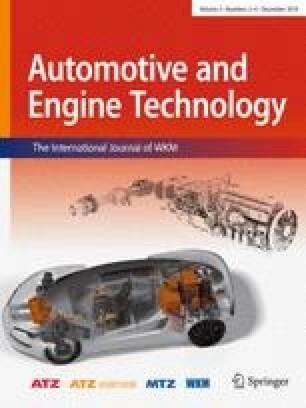 By conducting a user study in a high fidelity driving simulator this paper investigates the quality of vehicle stabilization performed via Active Drivesticks as alternative controls in comparison to the conventional steering wheel in a high-speed scenario. On a subjective level, assessed driving pleasure, experienced comfort and usability were high. Still, the subjective evaluation of safety feeling, experienced stress as well as necessary effort, was in favor of the conventional steering wheel, which subjects have been using over many years of driving. In addition, objective driving state variables that were measured to assess the participants’ performance in controlling the target path show a slight advantage for the classical steering control. In conclusion, it could be shown that despite the difference in experience and training with the different controls, the vehicle stabilization performed via Drivesticks is almost as good as the one performed via the conventional steering wheel in a high-speed driving scenario.